This former client’s phone call was discouraging, as it had been a while since an FDCPA violation of this magnitude had crossed my desk. However, it was an eye-opener, in the sense that it woke up the senses and shook off the complacency to reveal that people in this country, where this type of collection activity is strictly prohibited, are still treated like this by bill collectors every day of the week. Because it has been a while since this has come up as a topic of concern, this client’s call served as a catalyst to publish this post, as the information is still very much needed when dealing with unscrupulous collectors. In the following few paragraphs, you will learn some of the most commonly used tactics by collection agencies that are blatant violations of the FDCPA, as well as what you can do if you find yourself in a similar situation to the former client described above. 1. Insinuating or claiming to be a government agent or have police powers. Many people hear this and laugh, thinking that there’s no way anyone would fall for a debt collector claiming to be a representative of the government or police department. However, this is one of the most widely used abusive and prohibited practices used. The call will start with the collector speaking in a very “official manner,” sometimes even going as far as to identify himself/herself with a title at the front of his/her name, such as “Officer” or “Agent.” They will generally claim that their “superiors” want the case filed with the clerk of the court for the issuance of a warrant immediately, but that they broke the rules to give you one last chance to pay because he/she “doesn’t want to see that happen” to you. It’s not a coincidence that this you can find this exact tactic used by collection agencies from all over the country. The fact of the matter is – it works more than it does not work. Two things make this a successful dirty trick that brings in good commission for the collection agent. First, they understand that being called about a debt is a humiliating and embarrassing conversation to have, and they exploit this to their advantage by, secondly, claiming to have the authority to have you arrested. Throw in the feigning of sympathy – that is, “giving you one final chance” – and it is a recipe for success in their eyes. Believe it or not, the amount of people who are intimidated into paying old debts in this manner makes these types of agencies so much money in profit versus the number of people who actually follow through with FDCPA violations that they simply view them as “acceptable losses.” As soon as you notify them that you are aware of the protections you have under federal law, kindly say “goodbye” and hang the phone up. No one will be coming to arrest you. 2. Using profanity or offensive language. This is a simple one that many debt collectors can violate by simply getting carried away. The problem arises from the atmosphere of the debt collection offices, where management constantly pressures the collection agents to close more deals, collect more money, and compete against their fellow agents. They are encouraged to press as hard and as close to the line as possible without crossing it. However, self-control can sometimes be adverse to human nature, especially when a debt collector is on the phone with a debtor who is just as upset as the collector is pushy and emotional. One thing can lead to another, then a name is called, profanity is used, and the law is broken. You should never try to goad the collection agent into crossing this line, simply out of respect for your fellow human beings. However, if the collector starts using offensive language and cursing at you, kindly reply that you will not tolerate such language and that it is a violation of the FDCPA. 3. A collector calls a third-party, such as a friend, family, or employer and informs them of your debt. This behavior is completely prohibited by the FDCPA. When you have provided a “third-party” contact number, a debt collector is supposed to say nothing more to the party that answers the phone, except for something very similar to, “I am calling regarding a private business matter.” There really is not any breathing room here, so if a debt collector calls one of your friends, family members, or anyone else who is not you and tells them that you owe a debt, do your best to document the date and time of the call, as well as the name of the collector and the agency that called, so that you can go after them for an FDCPA violation. 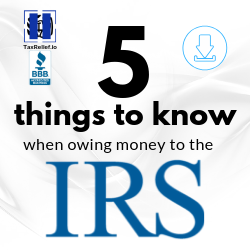 There are important exceptions to this rule, as the collector is allowed to inform your attorney, your spouse, a credit reporting agency, and the creditor. 4. Calling before 8:00 am or after 9:00 pm local (your) time. This is self-explanatory but is one of the most common violations. Debt collectors may try to tell you that the law applies to their local time zone, but it does not. This means that if a debt collector in California wants to call someone on the East Coast, for example, they must call between 5:00 am and 6:00 pm Pacific time. However, an East Coast collector cannot begin calling the West Coast until between the hours of 11 am and midnight Eastern Time. 5. An agent tries to charge you fees, interest, or other charges not allowed by your contract. Any time a collection agent tells you that you owe a certain amount of money, ALWAYS dispute the validity of the debt and demand a full accounting of what they claim you owe. Without having such an accounting, as well as a copy of the agreement that you signed at the time of inception, it is difficult to know if a collector is attempted to add extra charges to your account. Report them to the Consumer Financial Protection Bureau. Report them to your state’s attorney general. Disclosure: Some of the links on this page and through out this website are affiliate links, meaning, at no additional cost to you, 760 Credit will earn a commission if you click through and make a purchase. Michelle Mitchell is a consumer advocate, founder of 760Credit.Biz, a real estate and crypto-currency investor. Fed up with her own circumstances after losing a house in foreclosure and subsequently having bad credit, she sought out to change her own life and realized the true need for consumers to not just have great credit, but get the empowering information to keep, protect, and build their credit. She believes that credit helps to level playing fields. She also strongly believes that credit can be leveraged to build wealth. How an Explanation of Medical Benefits (EOMB) is a Tool to Repair Your Credit? What is “Pay-Per-Delete” and Should you Consider it as a Viable Option? Ready to Start Repairing Your Credit? We’re Here to Help! Do you have questions or concerns? We have answers! Receive a totally FREE Credit Strategy Session. Call now, or if you’re feeling phone shy, just click below! We offer a free, no pressure consultation to help you understand what your options. Other credit repair companies see you only as am email address attached to credit card. We believe in giving you a PERSONALIZED plan based on your history and needs. No other Credit Repair company does that.